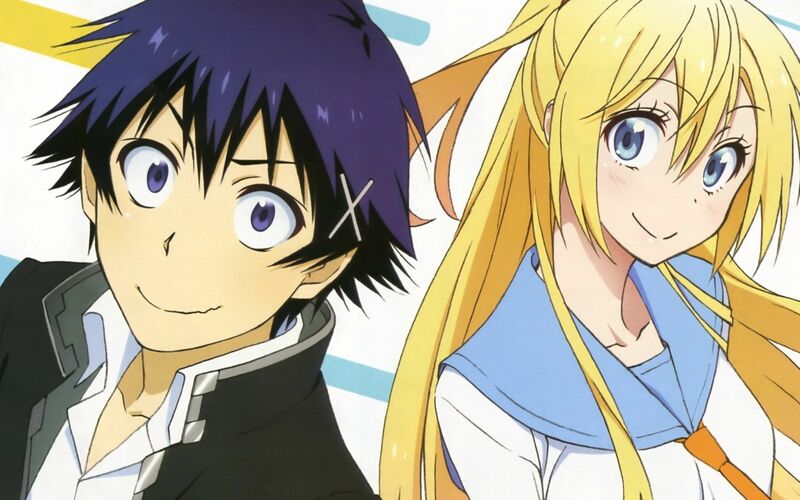 Raku Ichijou and Chitoge Kirisaki, the parents of Mitakihara Magi FS Haku Ichijou. Five months ago, a massive decision had to be made for free safety Haku Ichijou between three schools: Missouri, Mitakihara and Minnesota. Three caps were placed on a table in the middle of the gym at Taniguchi Hall, on the campus of Mitakihara Town Secondary School, with one of each university. Through artificial smoke came the Hawk, as he was called. The voice on the PA, the headmaster, Chester Hong Cheong, said, "Haku Ichijou, which school will you choose?" he said in his deep, menacing, yet strangely humorous voice. 10 second passed, and then, taking a deep breath...he chose the pink hat with the shield and rune M. The crowd erupted, and his parents, Raku Ichijou and Chitoge Kirisaki, memebers of the Class of '49, let out a sigh of relief. "FINALLY!" they both said, tears falling off their eyes. It took several months, two visits, a lot of pitching and sleepless nights...but on Feb. 2, 2067, Haku decided to follow his heart and be a member of the Mitakihara family. A late 11th hour push from Madoka recruiting coordinator Seara August was more than enough to convince Haku that he belonged with the Best College Football Team in All of College Football. "As soon as Ms. Seara made that call, I knew we were going to take my son away from Mizzou," said Raku, a liberal arts major and currently working for a consulting firm in Mitakihara. "He will never win anything there. He was going to stay here, and that was that. I still wonder why it had to go down to the wife, but we got it done." "I'm so proud of my son," said Kirisaki, also a liberal arts major at Mitakihara. "I told Haku before National Letter of Intent Day, if you choose Madoka, you WILL start the first game and you will make big plays for the Magi. You will not regret it if you choose Mitakihara. I promise you. He listened. And that's what I like about our son. He's a good listener, a good student, is always honest with his action, and always stays out of trouble. He did what he was supposed to do and now he gets a chance to reap the benefits." "I am so thrilled that our son's gonna play for the team of teams," Raku added. "We got our season tickets ordered, I got my mates joining with me at the tailgaye, I got my Men About Town membership card in the mail, Chitoge's ready for all those Roseluck meetings...man. We are, literally...bursting at the seams right now. You can't imagine how overjoyed we are to know that we don't have to worry about him anymore. Haku's staying with us, we're gonna see him win games, and we are going to have a massive party here in M-Town when we win another national championship. "My son is ready to make some history, everybody. You'd better fasten your seatbelts, Canada: 2067 is gonna be EPIC! Happy 200th birthday!"